'The Whirlwind' Jimmy White did not need to wind through to the next round. Jimmy beaten Paul Davison 5-2 comfortably. Impressive Tian Pengfei gave us a brilliant performance today. He won 5-1 over Anthony McGill with 3 centuries, 113, 107, 104, 95. Superb. 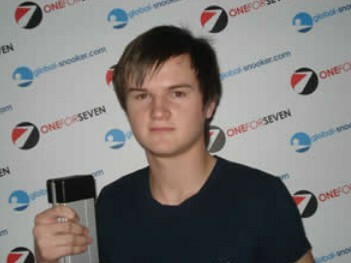 There was a battle between 2 World Championship Last 32 Finalists, Andrew Pagett and Jimmy Robertson. Jimmy Robertson eventually beaten Pagett 5-2. Judd Trump's flatmate Jack Lisowski beaten Robin Hull 5-2 with 55,54 after Hull levelled 2-2 with back-to-back centuries 100, 111. Lisowski showed his consistency in the match. Li Yan continued his good form today, winning the match against Alan McManus, who is a former Masters Champion 5-1. He made three 50+ in five frames he won, including 81, 75, 52. Ian McCulloch hit a 141 before losing 3-5 to Ben Wollaston. Xiao Guodong and Liam Highfield had a fierce match. Highfield and Xiao each knocked a 69 to 1-1, all square before the mid interval. The match then went to decider. 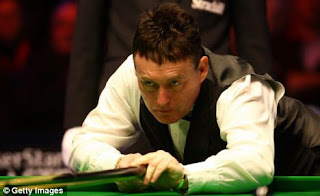 In the deciding frame, Highfield had colour clearance to win on the final back. He won dramatically 5-4.